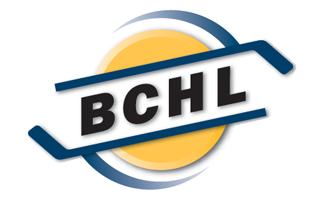 The Riv, Chilliwack Chiefs and Prince George Spruce Kings are entering this weekend with a 3-way tie for first place in the Mainland Division. 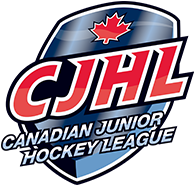 Each of these teams will be looking to pull ahead with some big wins which should make for some entertaining hockey across the province, including at the Lodge. The Rivermen will face-off vs the Powell River Kings on Friday, January 19th and the Victoria Grizzlies on Saturday, January 20th. Both of these games will be at the Lodge and are a 7PM start. The Kings come into The Lodge with a 1-0 season series lead over the Rivermen after winning a tight one at Powell River on Dec 1 3-2 despite a few goal line stands to end the game. The Riv played without Angus Crookshank or Brendan Budy in their first game of the Island swing. Giving up 3 power play goals that game was the difference although they did have a chance to tie it late in the third. Last season the two sides ended in a 1-1 split, Riv losing the first one 5-1 @ Powell and winning the second at home 5-2. Tonight we will see the Buono brothers take to the ice as AP Christian (brother of Carmine) has been called up for tonights game. Earlier this season the Riv fell 4-3 to the Grizzlies in Overtime after battling back in the third down 3-1 to force OT. Last season was much of the same for the two sides as Victoria took the first one at home 4-2 and the Riv won a tight one at The Lodge 5-4 later in the season. Riv Nation we will see you at The Lodge this weekend when we kick off our 4 game home stand!